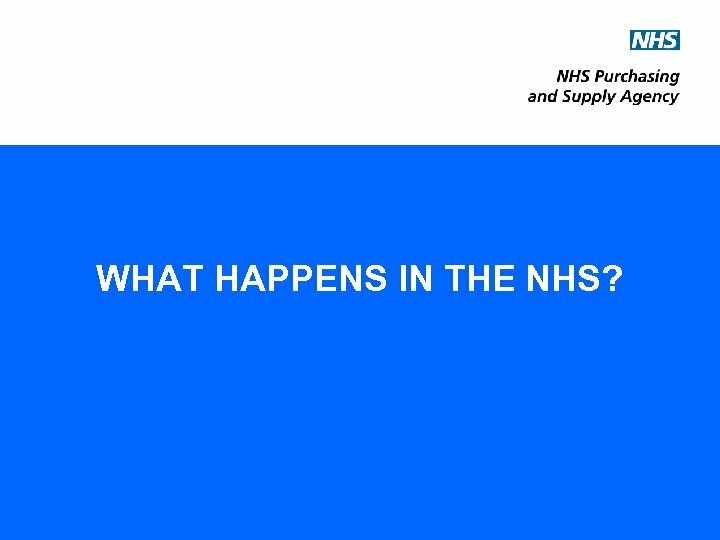 WHAT HAPPENS IN THE NHS? 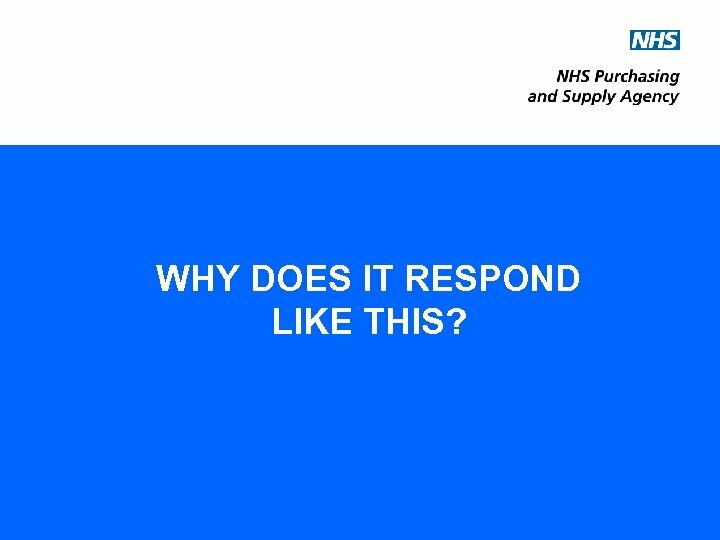 WHY DOES IT RESPOND LIKE THIS? 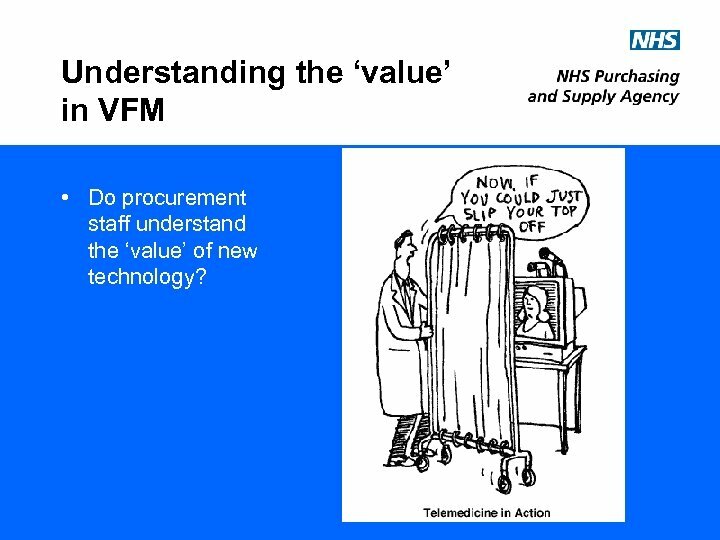 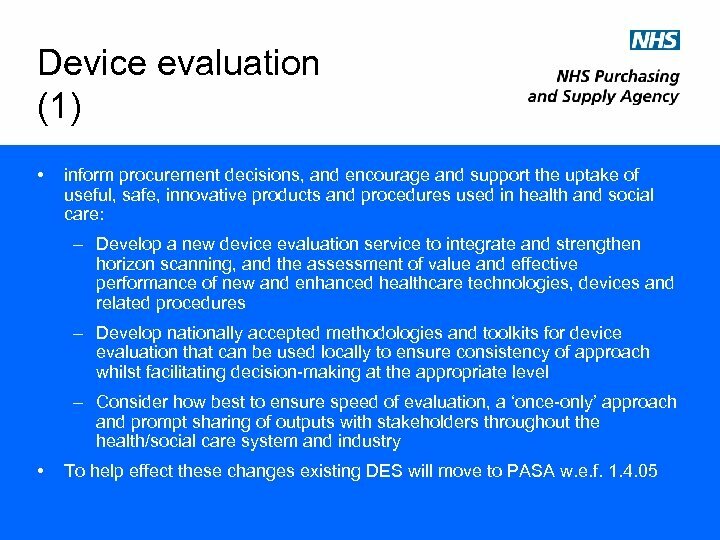 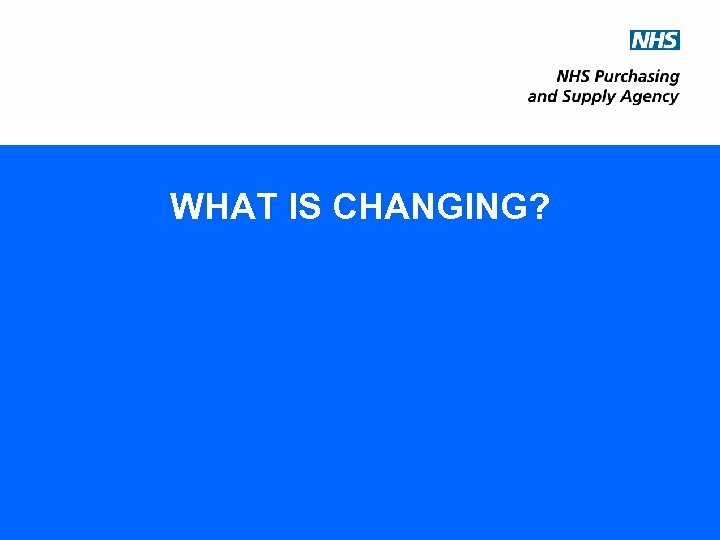 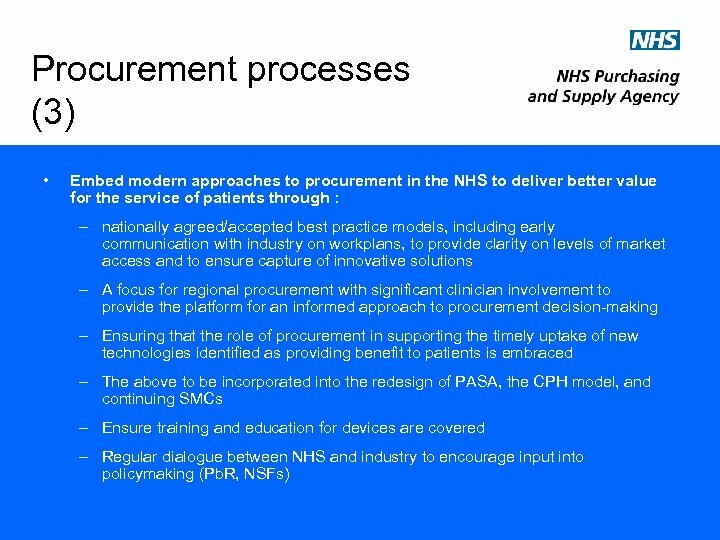 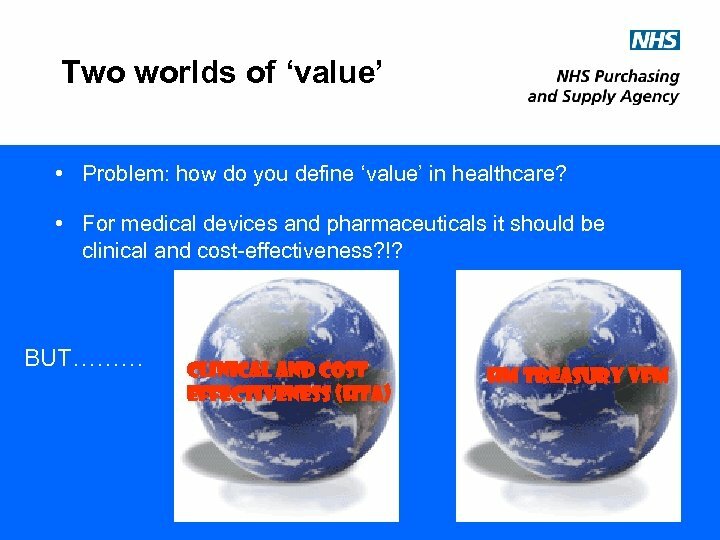 Understanding the ‘value’ in VFM • Do procurement staff understand the ‘value’ of new technology? 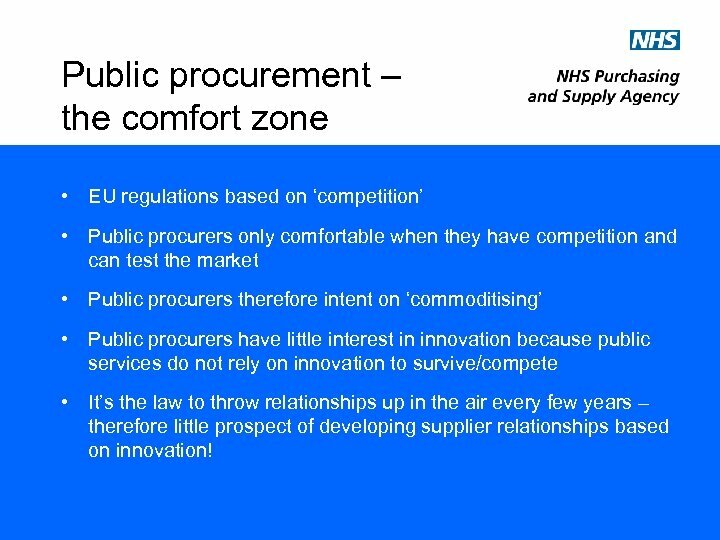 Public procurement – the comfort zone • EU regulations based on ‘competition’ • Public procurers only comfortable when they have competition and can test the market • Public procurers therefore intent on ‘commoditising’ • Public procurers have little interest in innovation because public services do not rely on innovation to survive/compete • It’s the law to throw relationships up in the air every few years – therefore little prospect of developing supplier relationships based on innovation! 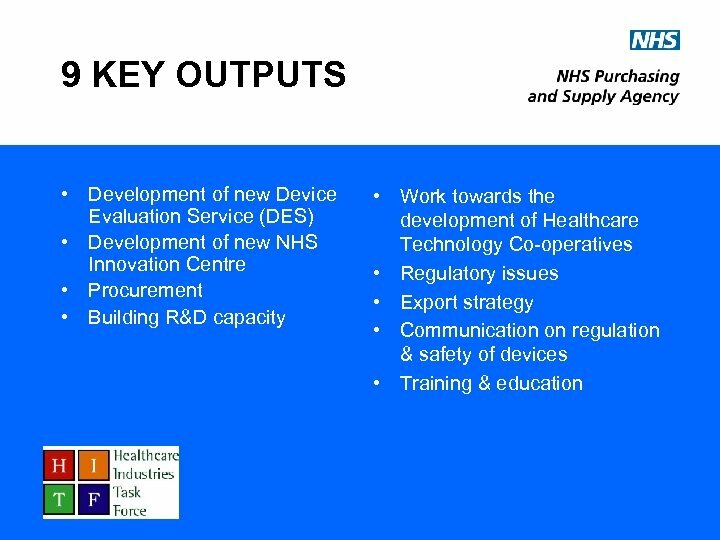 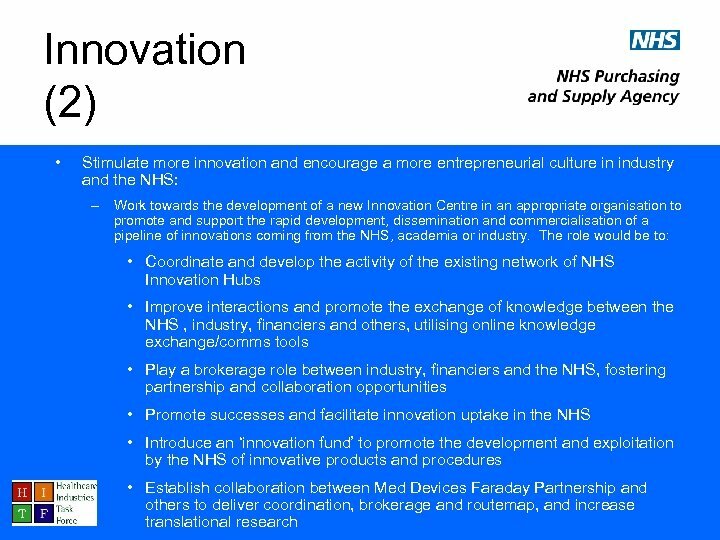 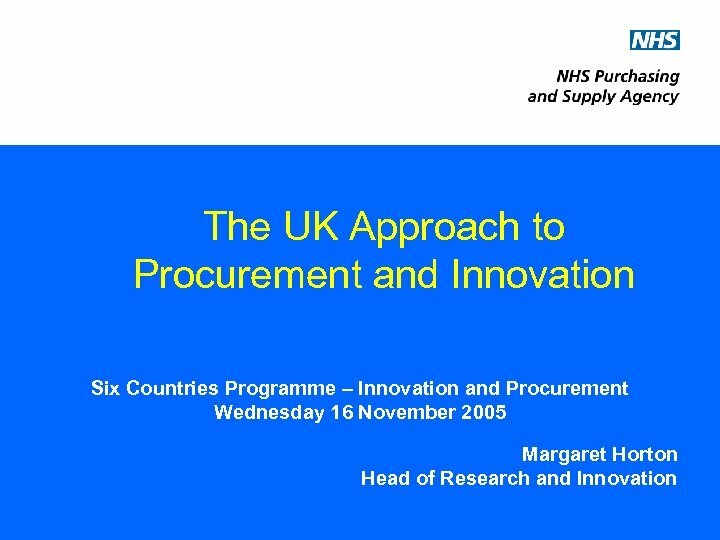 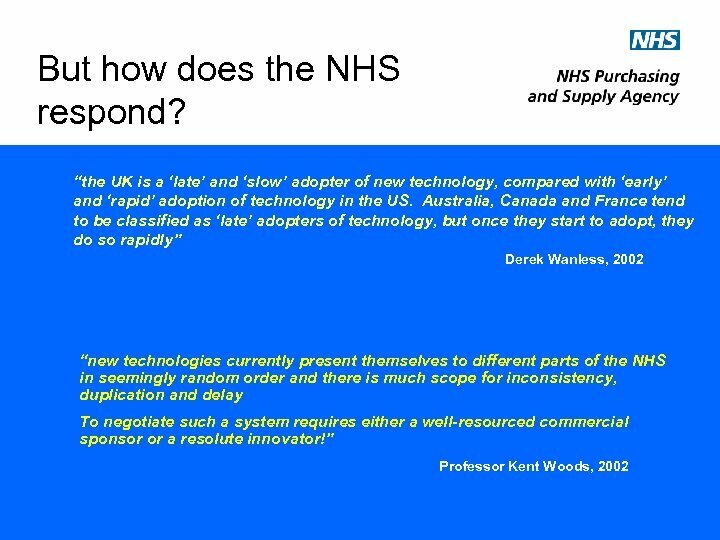 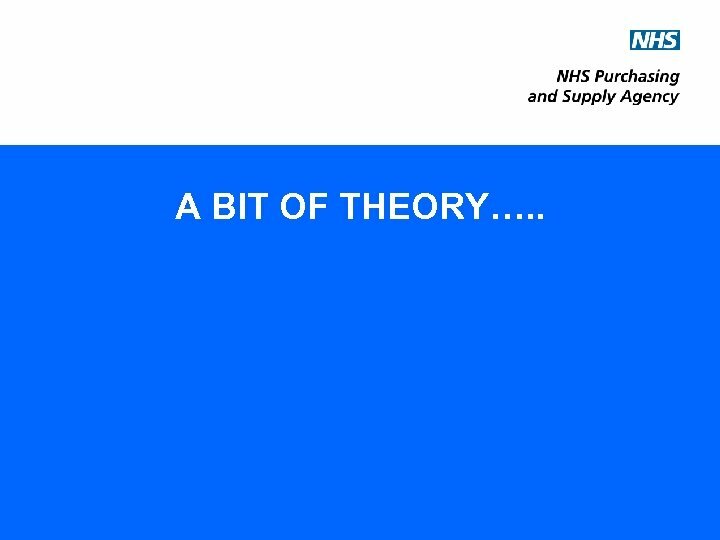 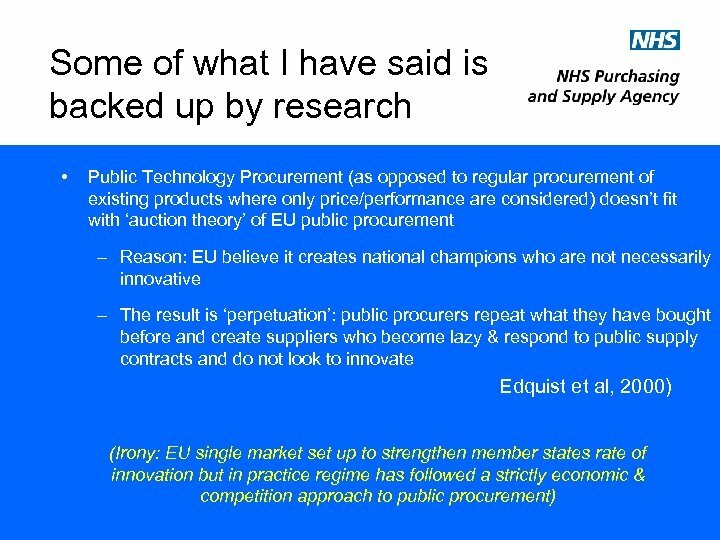 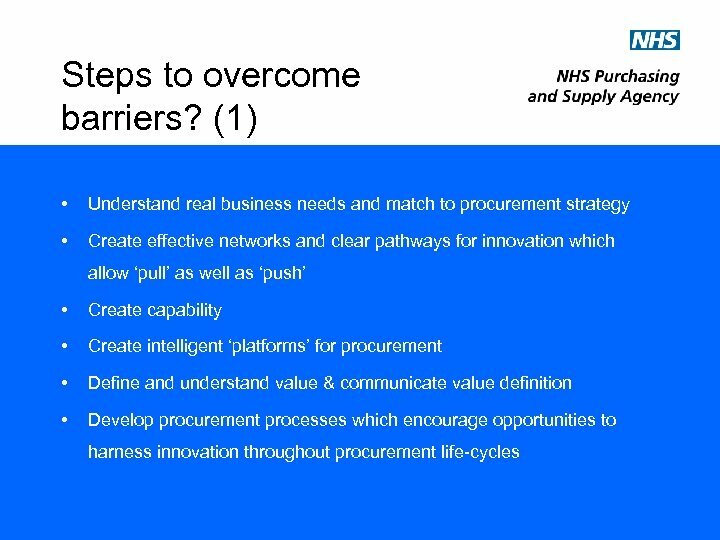 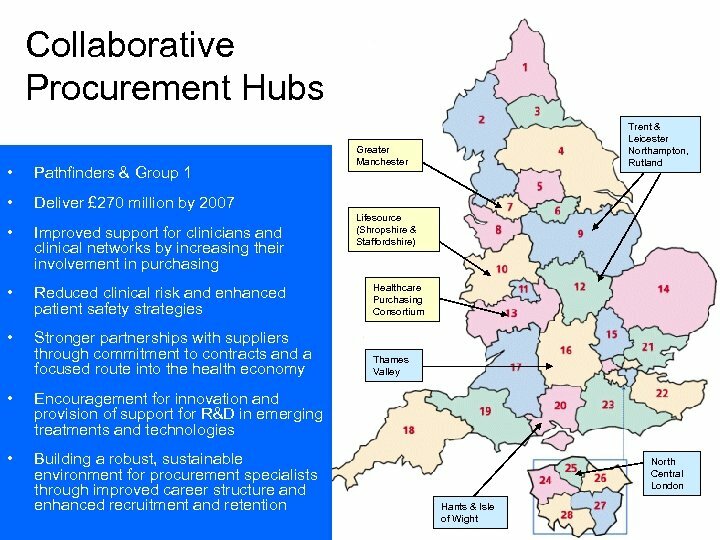 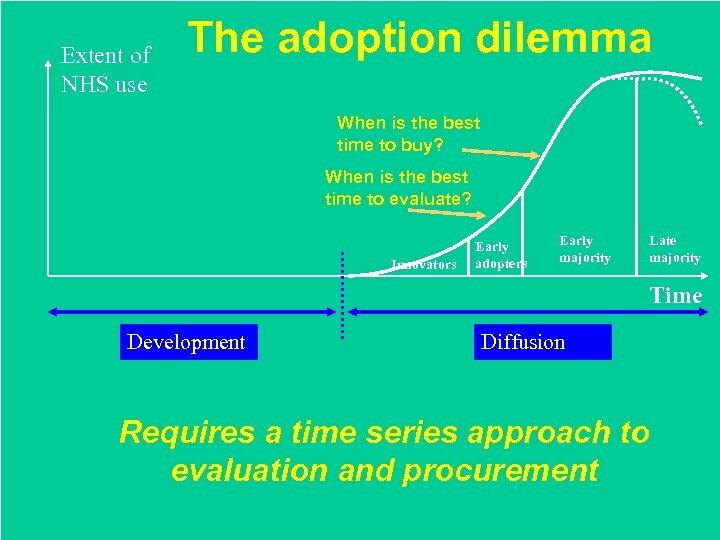 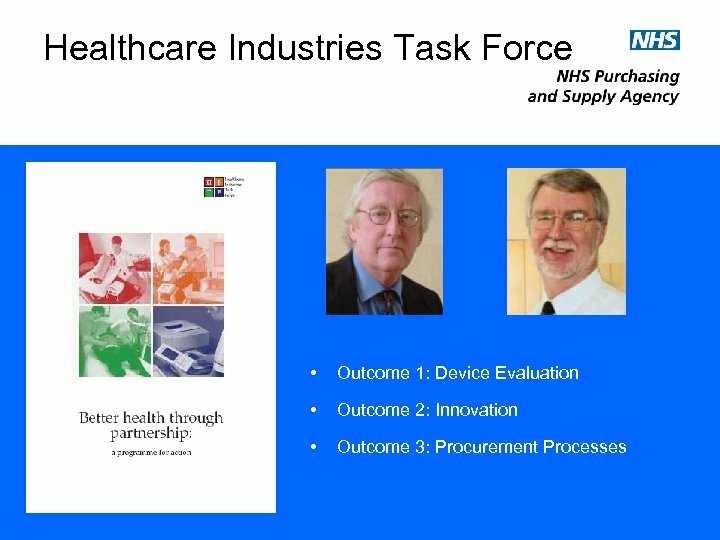 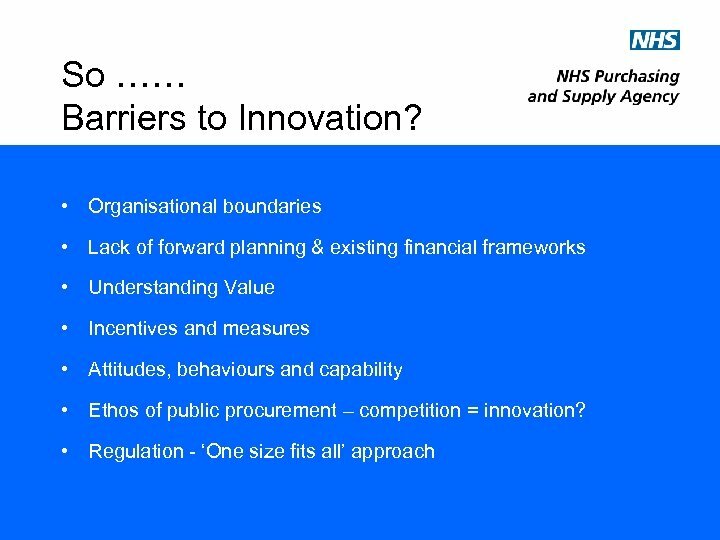 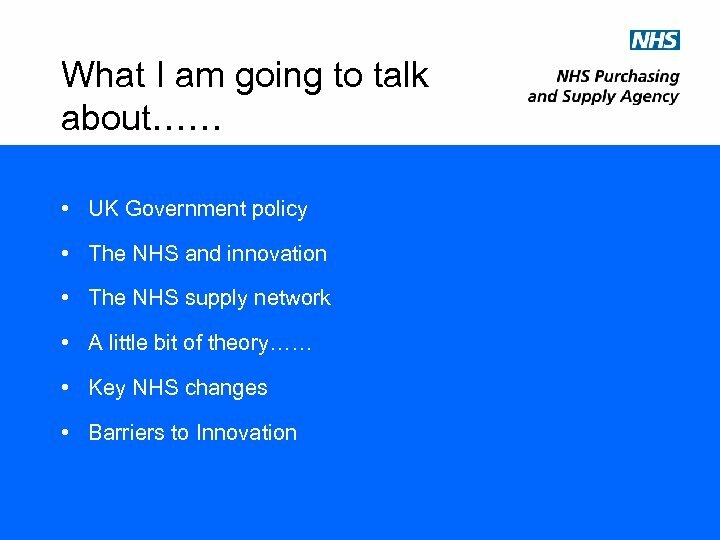 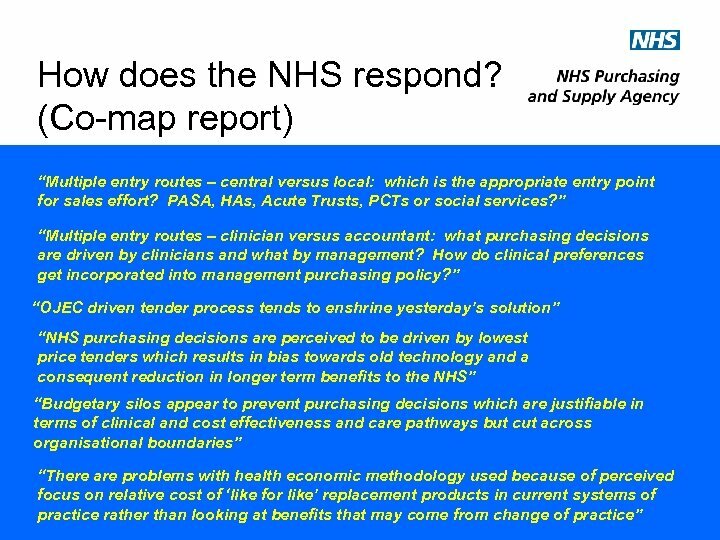 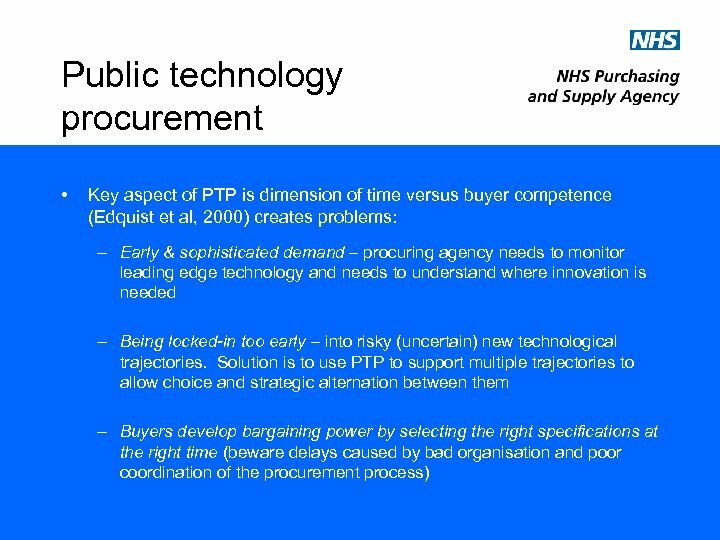 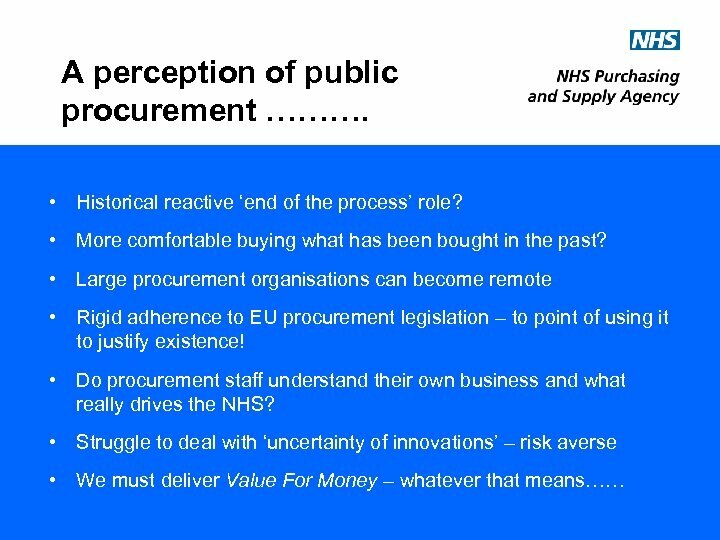 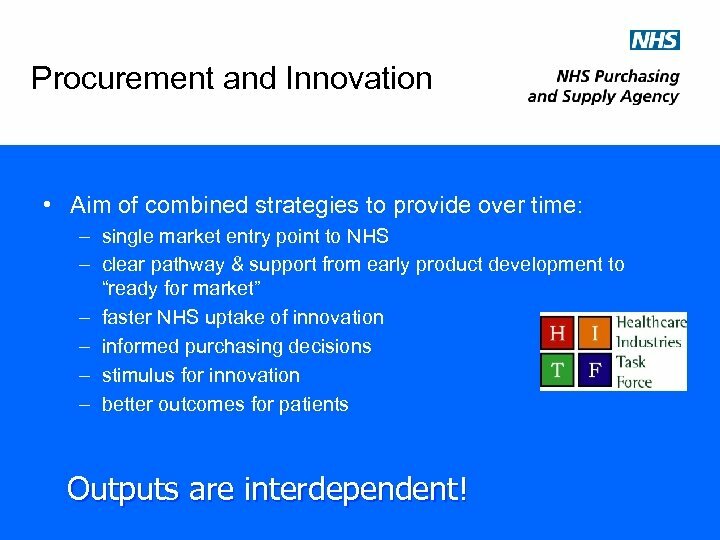 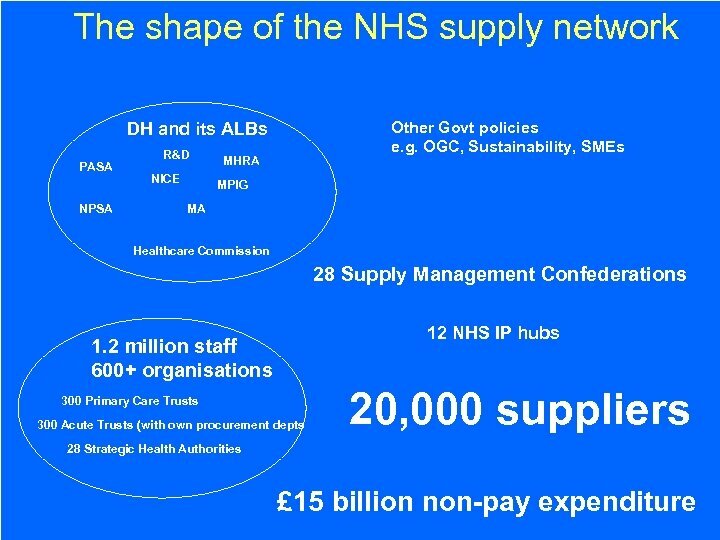 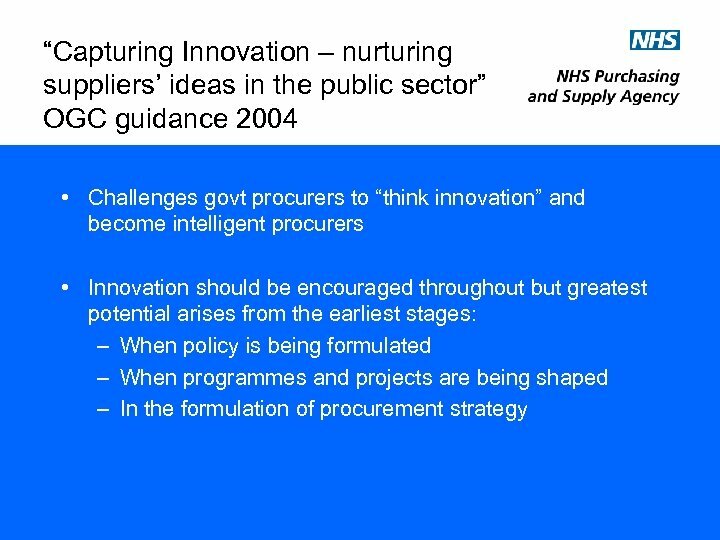 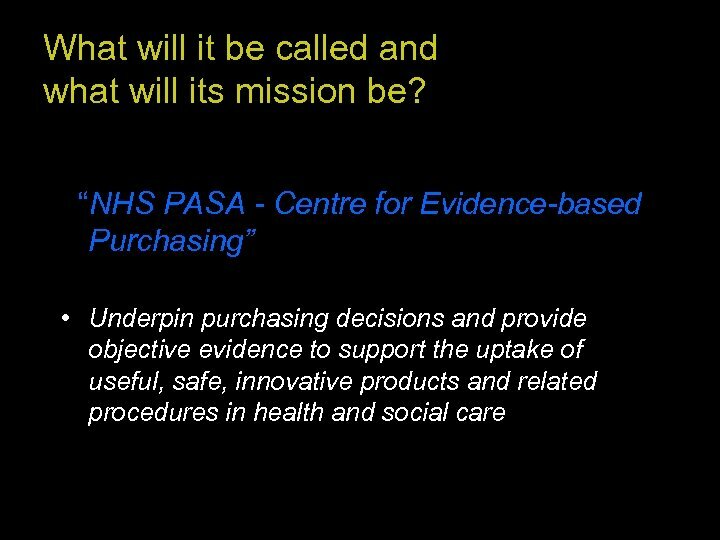 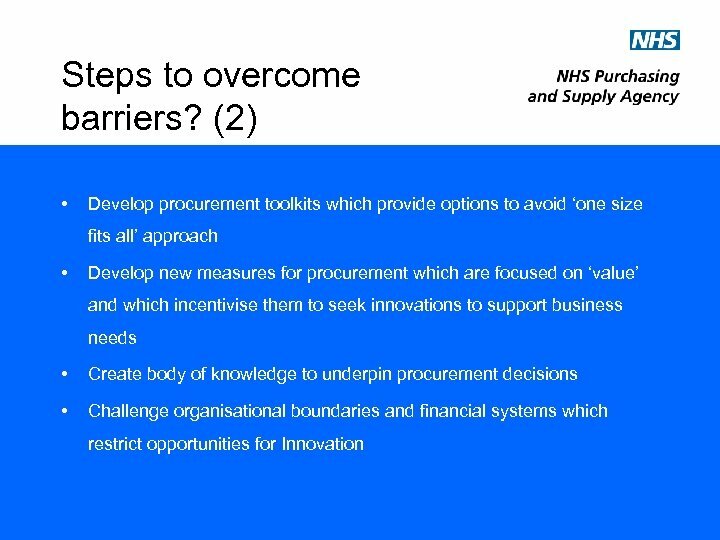 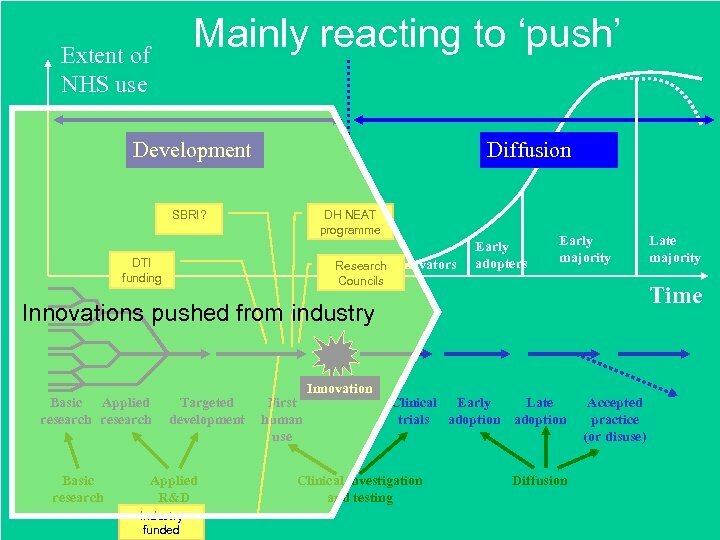 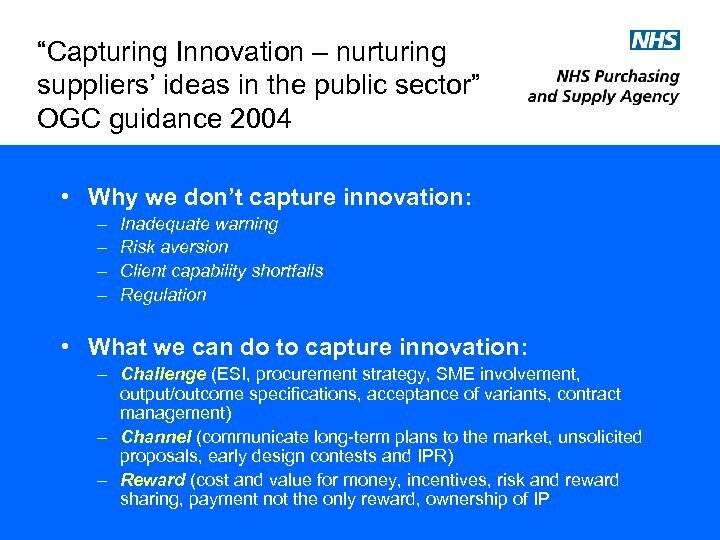 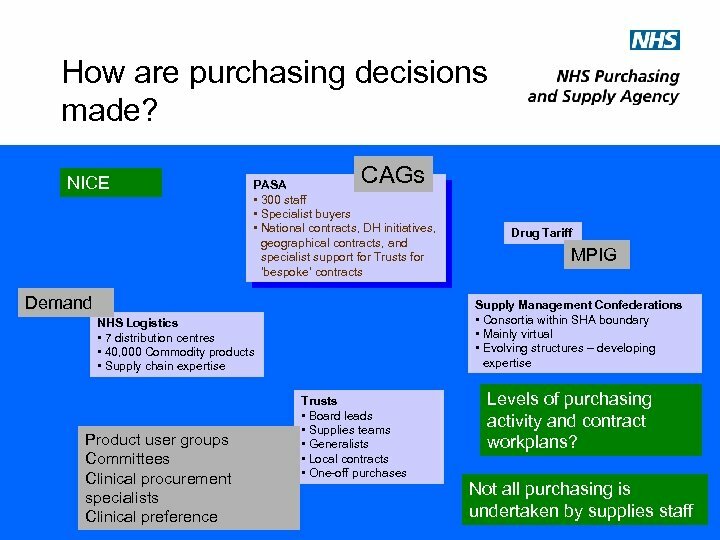 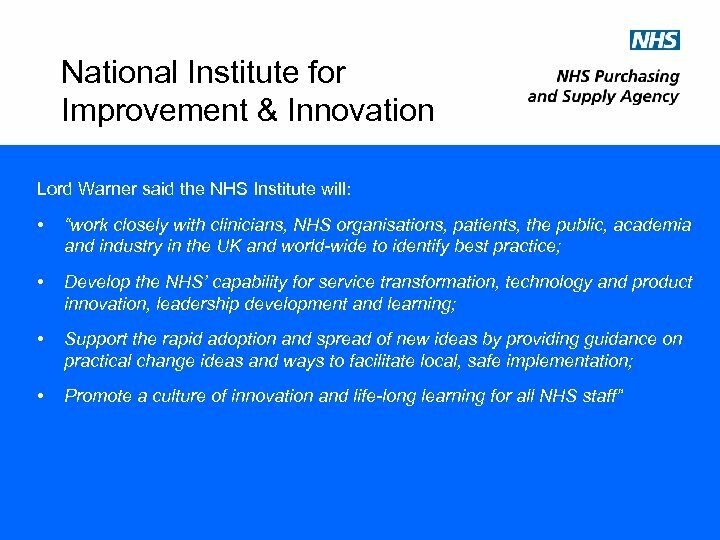 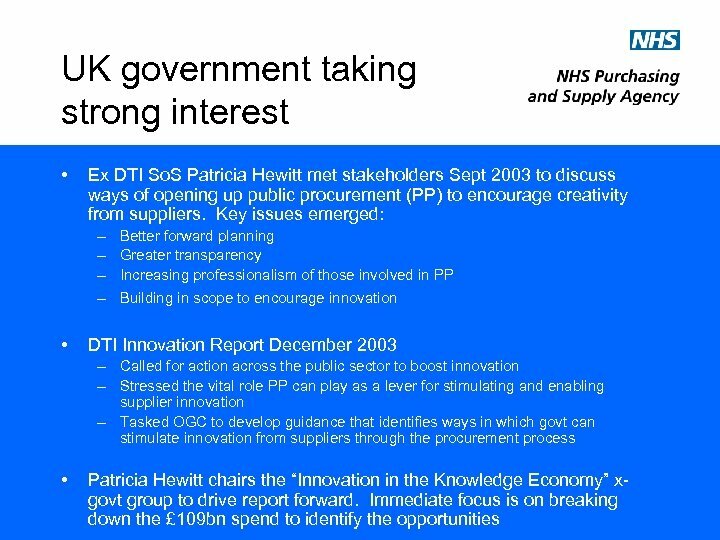 A BIT OF THEORY…. .
Procurement and Innovation • Aim of combined strategies to provide over time: – single market entry point to NHS – clear pathway & support from early product development to “ready for market” – faster NHS uptake of innovation – informed purchasing decisions – stimulus for innovation – better outcomes for patients Outputs are interdependent!